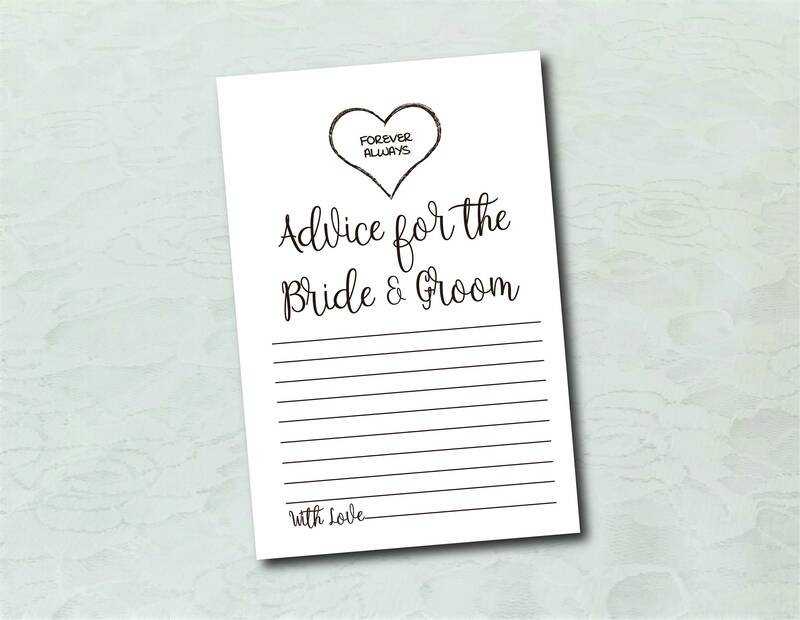 This Country Marriage Advice Cards are perfect for any bridal Shower or Wedding. These cards complement any a rustic or country style Shower or Wedding. Digital Downloads allow you to spend more time having fun with the Bride, and less time stressing. 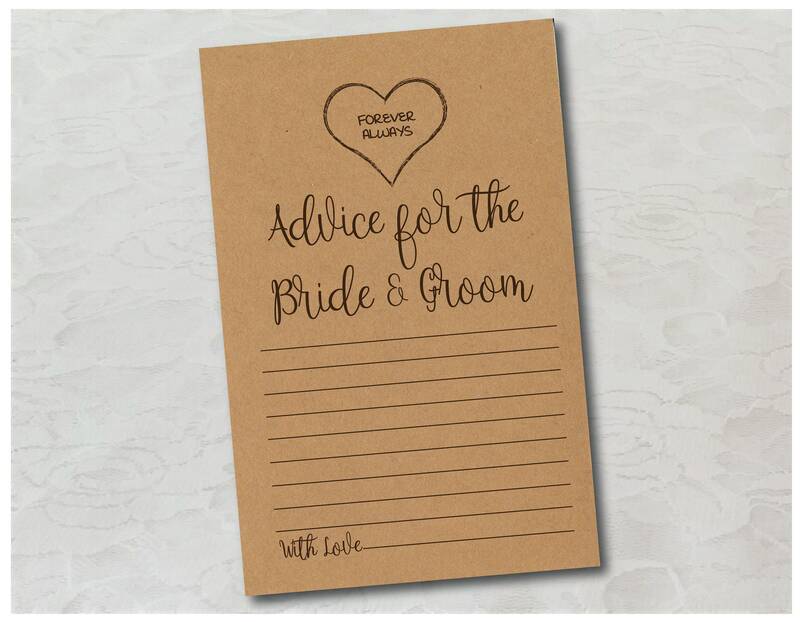 These advice cards come in 2 sizes 8.5 x 5.5 & 5x7. You will receive both size files with your purchase. If you need another size please contact me and I will try to accommodate. **Colors, Fonts, and Message wording can be changed. Please note that color on screen may differ from print. **For personal use only! Do not copy, alter, or redistribute without permission.